I enjoy reading fiction and nonfiction novels, as well as autobiographies and biographies. I also enjoy reading comics and anything else book related. I’ve wanted to write a novel for the last ten years but didn’t know if I could. I read many books on writing, and finally found the courage to write and self-publish. I spent four years working on my first novel and there are more books to come. I hope you enjoy reading my novels as much as I enjoy writing them. 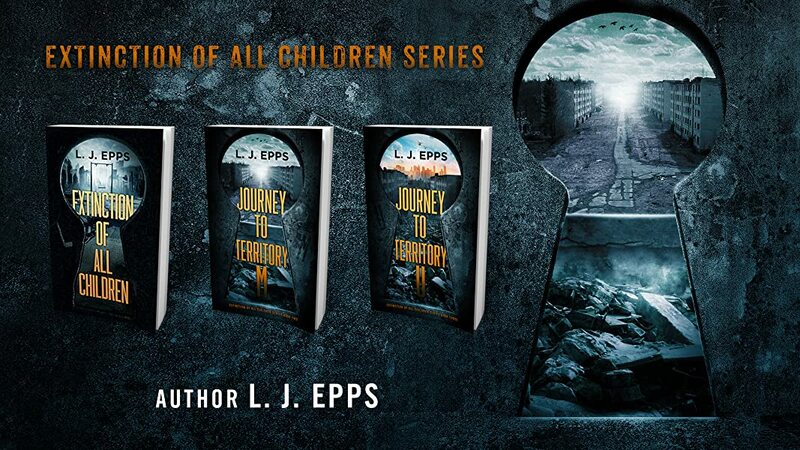 Though the subject matter – exterminating all children of the poor in a futuristic world of 2080 – is very dark, Epps concentrates of the humanity of the sole survivor of the cruel law of the territory, Emma Whisperer by name, and in doing so keeps the story light in style. Told in the language of an 18-year-old, the concept of the novel’s progress is easy to read and entertaining despite the tenor. The theme allows the author to pose questions about many concepts: the future world is divided into territories (each book of the trilogy is named after a different territory), governed by female President who has determined that the three social classes - the wealthy, the workers, and the poor - should not mix. The undesirable poor are not to procreate and all children of that class must be killed. That theme relates to the same disparity present today and perhaps that is the author’s intention: raise questions in the minds of young adults who may be able to address that conceivable threat. This book follows Emma, the last person in the lower class fraction of society. She doesn’t like to follow the rules, which lands her in trouble! There are three fractions, U- upper M- middle class, and L. Only U are able to procreate, as they are the only ones who have the funds to do so. This was an intriguing concept, I felt this book was slow, and I didn’t always understand the point to certain parts of the story, it felt as though the author was trying to shoehorn in as many topics as possible. That being said, I will read the second book, as I am curious to find some answers. All in all this book was an ok read. I would like to thank Netgalley, and L.J Epps for the ARC in exchange for an honest review. This book blew me away. Just didn't want to put it down.......😮. I will definitely be wanting to read the others in the series. Book given free by author via voraciousreadersonly. Extinction of All Children by L. J. Epps takes us into a dystopian future where society has been broken into three different territories: one for the rich, one for the workers, and one for the poor. The president in the story, Esther, has been in charge for 22 years and has been imposing her will on all territories the entire time. The most striking rule she has is that any children born in the poor zone are to be killed. Her reasoning behind this is that the poor do not have the necessary skills or tools to be able to take care of their children, so they need to stop having them. Emma is the last child who was born who was allowed to live. She is 18 years old and is now expected to give a speech and praise the new system for all that it has accomplished. The problem is, she sees more flaws than benefits and she is wrestling with the idea of sabotaging the speech in order to cause a rebellion. Well, I'll admit that there are a lot of similarities between this and The Hunger Games. There are some unique features here that set it apart, but that is where I had many of my issues. The main problem being with the main conflict: death of the poor children. I get the idea here that is you take away the children eventually you will wipe out the poor, but all that does is create a vacuum that will affect the other classes. Once the poor are gone, the poorest of the middle class are now the poor, and the cycle repeats until the poorest of the rich are now the poor. What this needed was a sort of incentive, an opportunity to move from poor status to middle or even rich. I think that would have made the story much more engaging. With that, I think there is an audience out there who will enjoy this. Young adults will most likely enjoy this as many themes tie into those that are seen in pop culture movies and books. I was excited to read this book as I enjoy dystopian adventures; unfortunately, my expectations crashed before I hit page number ten. Even though the premise is an odd combination of the Hunger Games and Children of Men, I thought the idea of the book as engaging enough. I love young, rebellious, defiant, girl heroes but Emma’s train of thought befuddled me on occasions and irked me on others. Some parts of the story are not credible –yes, despite the subject you can describe believable emotions or reactions- and ruined the book for me. The other part was editing. Now, since the entire book is written this way, I am not sure if it was the intention of the author, or the fault falls on the edition. Sentences sounded like: “That was not the reason. The reason was another one. The real reason was…” or when the book describes the L class reacting to the upper class with phrases like: “You can’t treat us like that. You cannot forbid us to have children. Stop putting us in classes. We have rights”; they are boring, the explanations are too obvious, and the reactions are 100% cliché. This is probably a YA dystopian, but it reads well enough for the older. The basic premise is there has been marked social engineering, and society, at least in this limited area, has been split into three zones occupied according to class: upper (U) prospers, middle (M) is tolerated, and lower (L). The zones are separated by "impenetrable" barriers. (A challenge here!) 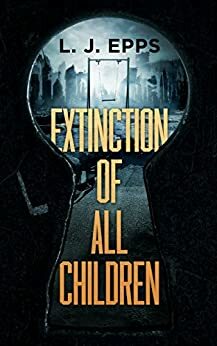 The objective is to get rid of the lower class, and while large scale genocide is out, it can be done by refusing permission for them to breed. Children born to the lower class are removed from their parents, presumably to be killed. Emma Whisperer is the youngest person in L; she was born just before this law was imposed. In L, any misdemeanor earns 30 days jail; recidivism indefinite jail. In M it appears that an additional means of enforcing order is the possibility of relegation to L. As you might gather, the form of governance is dictatorship, and there are plenty of guards, etc, to enforce it. In L, being a guard seems to be the only way to avoid near absolute poverty. There is no mention of te general economy, and it appears L does not produce anything. Then author probably put that condition there to explain why there is no reproduction, but are the upper classes really going out to the farm to drive tractrs all day or do manual work? I think the author wrote Emma from the heart. She is a bit self-centred, very introspective, but rebellious. (There has to be a story.) The other characters tend to be a bit grey, or in one or two cases, a bit stereotyped to do the job, e.g. President Esther. The better-written male characters are resonable, but in my opinion, clearly written by a woman. (This is stated more as an example of the difficulty of writing the other gender and is no reson not to read this book; I suspect the author could retaliate quite nicely criticizing my female characters.) This is apparently the start of a series, and the plot is a little stretched. World building is very good, aand quite dystopian. 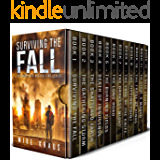 The limited action is rather well written, and the limited supply is to the author's credit. When it turns up, it is far more effective than in many other novels. To summarise, I thought it quite well done, it is easy to read, but the plot stretching, Emma's total lack of planning at times, the complete lack of any economic structure or consequences from this social experiment, and the limited number of stereotyped characters prevent five stars.